Sherry Rozell is an accomplished trial and appellate lawyer and legal strategist whose practice is concentrated in the areas of products liability defense, mass torts litigation, and class actions, with specific emphasis in the automotive industry. 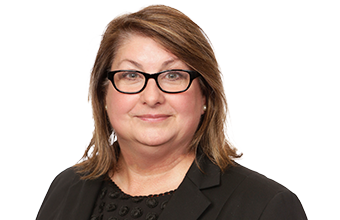 Throughout her career, she has successfully represented clients, including a number of Fortune 500 companies, in litigation in state and federal courts at both the trial and appellate levels. She is also widely regarded for her expertise in matters involving complex Federal Rules of Civil Procedure issues in federal courts nationwide. Over her more than 30 years in practice, Sherry has served as a trusted legal advisor to major automotive manufacturers, including Ford Motor Company, representing the top 10 Fortune 500 company in discovery, trial and appellate matters in numerous state and federal courts across the United States in defense against a broad range of tort claims. She holds the distinction of serving as both national discovery counsel and national appellate counsel for the automaker and serving as a national advisor on appellate strategy. As national discovery counsel for Ford Motor Company, Sherry serves as lead counsel in complex discovery matters across the United States, including class actions, and is responsible for all aspects of case discovery, including case strategy; case management conferences; protective orders; joint case management orders; privilege logs; the collecting and producing large volumes of documents; and the handling of all aspects of written discovery. She also has extensive experience preparing corporate employees for deposition and trial. As national appellate counsel for the leading automaker, she provides legal assistance in connection with complex appellate matters, including providing assistance in strategic goal planning and preparing and arguing complex pre-trial and post-trial motions and appeals. She also frequently serves as an embedded appellate lawyer at trial, where she is responsible for developing the appellate strategy in the case, including error preservation, preparation of jury instructions and handling of the charge conference, and preparing and arguing motions in limine and directed verdict motions. Her experience also includes preparing appellate briefs and extraordinary writs and presenting the issues at oral argument. Sherry’s achievements as a trial lawyer have earned her inclusion in Missouri Super Lawyers. 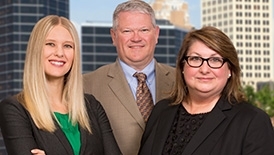 Prior to joining McAfee & Taft, Rozell was a shareholder with the law firm of Turner, Reid, Duncan, Loomer & Patton, PC in Springfield, MO, for more than 30 years. In addition to previously serving on the board of directors of the Springfield Metropolitan Bar Association, she was an appointed member of the Missouri Supreme Court Advisory Committee for 10 years.